Benham is the Designer of Record and along with our Construction Contractor teaming partner, we are executing Design Build task orders for the U.S. Army Corps of Engineers Fort Worth District and US Customs and Border Protection. 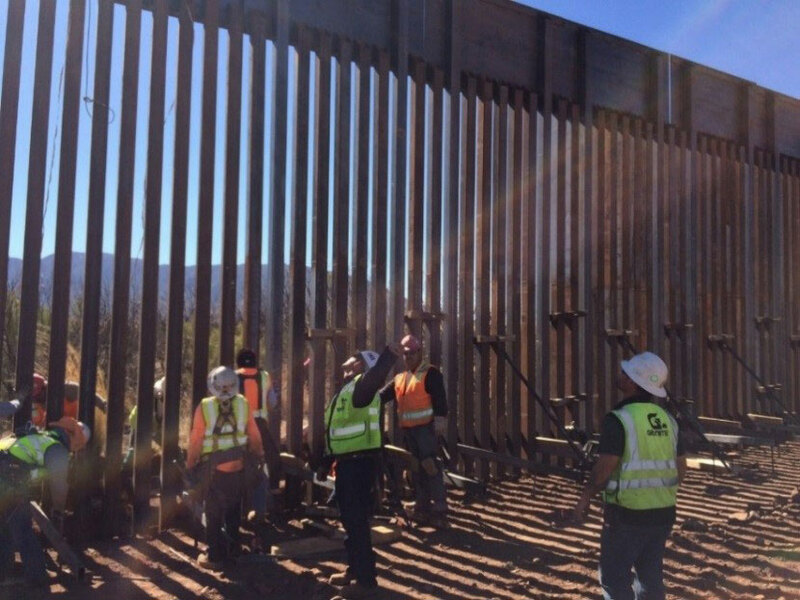 The recently awarded $30 million task order includes the removal and replacement of an estimated 7.5 miles of existing primary border fence within the 60ft Roosevelt Reservation Easement, along the International Border near the City of Naco, AZ. The replacement border fence will be comprised of steel bollards incorporating anti-climb features. The geographic region covered in this contract is for horizontal construction services throughout the Southwestern Border Patrol Sectors. Task orders can include a wide variety of Design-Build (DB) and/or Design-Bid-Build (DBB) construction activities from design and construction of roads, parking lots, boat ramps, heli-pads, bridges, gates, retaining walls, drainage improvements, pedestrian border fences, vehicle border fences, airport runways, airport taxiways, levy and floodwalls, lighting, irrigation systems, and more. Under a separate contract, Benham is also currently providing surveys, drainage studies and roadway improvement engineering design services for the Baboquivari Road in Arizona. This 8 mile tactical infrastructure improvement project is critical to Border Patrol operations of deterrence and prevention of illegal cross-border activity. Benham is committed to our national defense and homeland security.